2019 has been less then awesome for Marvel's TV division. With Daredevil, Iron Fist, and Luke Cage all getting the axe. It's still not 100% clear if this is all a result of the upcoming Disney+ streaming service and Disney yanking all of it's content from other streaming sources. It's certainly not a quality or popularity issue. Of the three that were cancelled only Iron Fist wasn't pretty much universally loved and even they upped the ante in season 2, correcting alot of the past mistakes. The word on Jessica Jones and The Punisher still hasn't come down, but pretty much every expects to see a cancellation notice, even if Disney reps have publicly stated they would be up for another season on the streaming king's service. Adding to the bleak outlook is the news that Frank Castle's second season had a 40% ratings dip in the first weekend of it's second season. That factoid is a tad misleading though, while it's not great it's nowhere need as bad as the other Marvel shows fared in their second seasons, all of which had a 60% drop in ratings. I hate to sound like a petulant child but this just isn't fair. Since the late 80's when Dolph Lundgren put on the white skull we've been waiting for someone to nail one of the comic book worlds most interesting characters. Thomas Jane was fine in the 2004 reboot but it was still off. 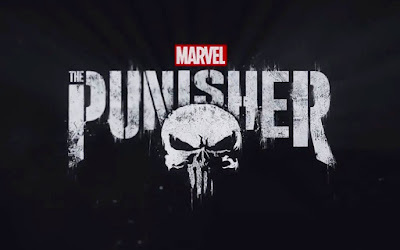 I wondered aloud, quite a bit actually, if the problem was that they were trying to shove The Punisher into a film when he was more naturally suited to a long-form TV show. When you're dealing with things like grief, loss, morality, and the ever complicated question with whether someone that only kills bad guys is a villain or not (he's not, but the question is still there), it takes time to do the story right. Hell, the character even comes with season ready stories in the form of the Garth Ennis graphic novels. Then along comes Jon Beranthal, who's gutteral war cry just feels right and who's acting ability has hit new levels with this role. Everything was finally perfect....almost as perfect as that day in the park Frank Castle spent with his family, and we all know how that turned out. I'm going to hold out hope that Netflix and Disney/Marvel do the right thing and recognize that they finally got a character right who they've been failing with for 30 years. Maybe that's not something you throw away so quickly.